It’s a conniving little minx! It tastes like rainbows and unicorns, but its impact on our health is far from a fairy tale with a happy ending. With celeb chefs telling us it’s time to quit, regular dudes making record-breaking films, and even some of our own pollies campaigning against it, it’s time we all committed to forgoing that 3pm chocolate bar. But how do we say “no thanks, not interested”, when the likes of rainbows and unicorns come knocking at the door? Sounds like hard work I know, but it’s honestly the best place to start. Once you can work out why you’re reaching for sugar, you can tackle it head on. Are you low on energy? Try a handful of nuts, some carrot sticks with tahini or a teaspoon of raw cacao powder dissolved in some hot almond milk. Yum! Are you upset/angry/stressed/celebrating? 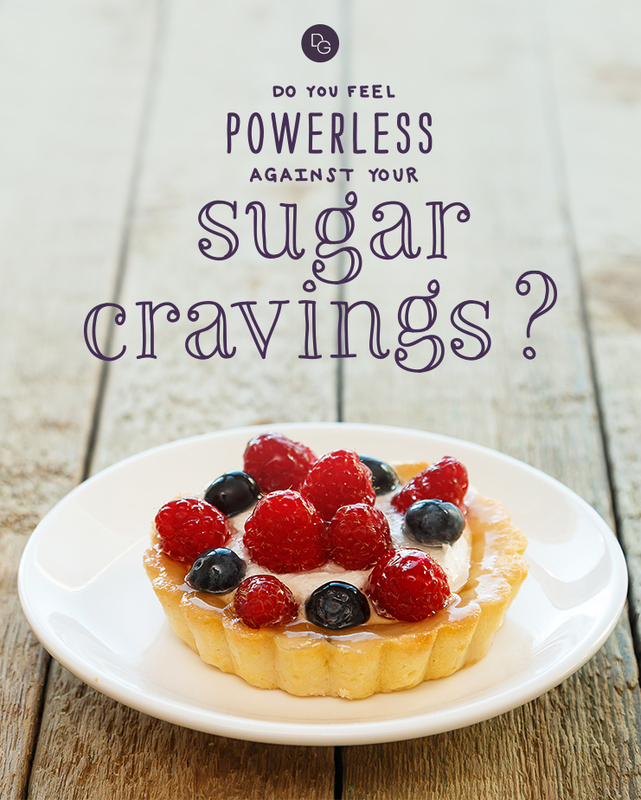 For many of us, our emotions are directly linked to our affinity for sugary foods. This could be linked to a reward system used in our childhood, or the science of serotonin (the feel-good hormone) being released when you eat sweets. Either way, addressing the emotion head on is way more productive than suppressing it momentarily with sugar. Is it habitual? Are you eating dessert because you always eat something sweet after dinner? Breaking the habit is sometimes harder than the addiction itself. Don’t mistake the fact you haven’t eaten enough nutrient-dense food at your last meal for a sugar craving. Cravings are driven by the brain’s need for reward not the body’s need for food. Make sure that all of your meals, are well balanced with adequate amounts of protein, carbs and good fats. If you can pull this off, then realistically you shouldn’t need to snack between meals ie. reach for an afternoon biscuit or three. Ah, extremism — a successful diet’s worst nightmare. Nobody is asking you to quit sugar. I’m simply suggesting that you resist succumbing to every chocolate bar, cookie, lolly jar or can of soft drink that comes your way. Consider a piece of fruit, a homemade bliss ball or sweetening your coffee with stevia or half the amount of sugar that you’re used to. Avoiding refined sugars and replacing them with small amounts of natural sugars like raw honey, maple syrup and coconut sugar is a positive step in the right direction. There are plenty of sweet-tasting foods that aren’t full of sugar that will give you the same sweet satisfaction. Roasting sweet potato, carrot or pumpkin in coconut oil is pretty much like eating dessert, only better. Low fructose fruits like berries, kiwi and green apples are a great way to hit sugar cravings on the head with minimal fructose. One of my favourite tricks is making my own trail mix with shredded coconut, pepitas, pecans, sesame seeds, a generous sprinkle of cinnamon and a pinch of salt. Keep it in your desk drawer to prevent a delirious hangry trip to the vending machine. There are countless recipes, cookbooks and blogs dedicated to sugar-free eating. Why not spend a Sunday afternoon preparing some delicious sugar-free treats to enjoy next time sugar cravings hit. They might just be your biggest ally when making the transition to a sugarless lifestyle. Here’s a few to get you started. Try my Gut Healing Berry Jellies or my Cacao and Cardamom Bliss Balls. Every time I reach for food I ask myself, “will this nourish my body?”. Sometimes it won’t, but the majority of the time I can come up with an explanation as to why my body is going to thank me for making the right food choices. None of us are immune to the sugar highs and sugar lows. They’re inevitable. Not only does it disrupt our energy levels, mood and hormones, but it also wreaks havoc on our body’s ability to burn fat. Think about this next time you reach for another butterscotch. Hey, sweet things are yummy. There is no denying it, and the occasional indulgence should absolutely be part of your healthy eating plan. By telling yourself you’ll never have sugar again, you’re setting yourself up for failure. If you remove the lack mentality and the notion you may never have the opportunity to eat that doughnut ever again, you’re more likely to binge on it. So loosen the reins a little, prioritise how you’re satisfying sweet cravings and make yourself a cup of herbal tea in the interim. Jordanna Levin is a holistic wellness coach and conscious cook whose focus is to heal people’s ‘complicated’ relationship with food. She believes food should inspire and nourish, not be a source of stress and anxiety. Through her coaching programs, cooking workshops and popular healthy food blog she’s creating a new movement of mindful and inspired eating.